Special Agent James "Jimmie" Fulton Grayson was killed in an automobile accident in Columbia, SC, while on official duty. 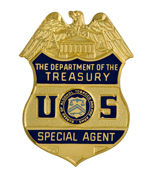 Agent Grayson joined ATF on January 26, 1970. He served at offices in Georgia and South Carolina. Agent Grayson was a well known and noted expert pistol shooter and participated in competitive pistol matches throughout the Nation. Previously, Jimmie proudly served in the U.S. Coast Guard from 1962-1970. He was a graduate of the University of South Carolina (Columbia) and a member of the Kappa Alpha Fraternity. He enjoyed flying and held a private pilot’s license with a multi-engine (land and sea) rating. Jimmie also enjoyed playing sports, especially softball. Agent Grayson was born in Florence, SC. He was survived by his wife, Cookie; their son, James Fulton Grayson, IV and daughter, Elisabeth Anne Grayson-Mills.